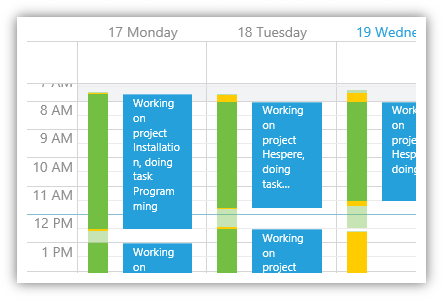 Be more productive by tracking your time in a graphical calendar. Green and yellow bars left to the time sheet entries indicate booked and unbooked time. Turn on time cockpit's signal tracker to automatically get a log of your work done on your PC. Transform the signals into time sheet entries with one double-click. 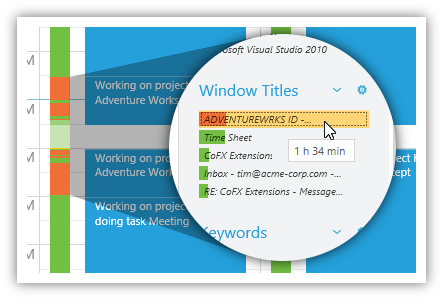 Tailor time tracking to your organizational structure and processes. 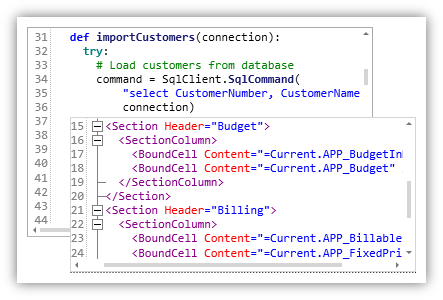 Add tables and properties, customize lists and forms and access all data with IronPython or .NET. Try time tracking with time cockpit 30 days for free, no credit card required.